Panama City, pictured above, sits at a Crossroads of Oceans, Continents, Cultures and Lifestyles. This vibrant cosmopolitan hub in the middle of a tropical rain-forest embodies the best of all worlds. Easy-going and relaxed, Panama City is much more than just a passing-through point for cargo ships and travelers. This city mixes colonial influence with traditional culture, making it 1 of the most interesting and dynamic places in Central America. The Panama Canal cuts a path between the Pacific and Atlantic Oceans and stretches 80 kilometers (50 miles). Built by the US, Panama took control of the Canal in Y 1999 and now it accounts for 33% of Panama’s economy. This tropical country is synonymous with humidity. 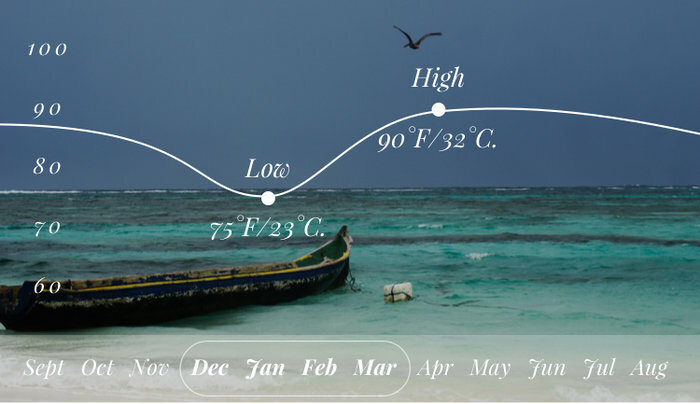 Temperatures stay consistently warm year-round, so travel is defined by rainfall rather than temperatures. The dry season runs from December to March, with hardly any heavy rainfall. With November having the heaviest and most consistent rainfall, so plan travel accordingly. 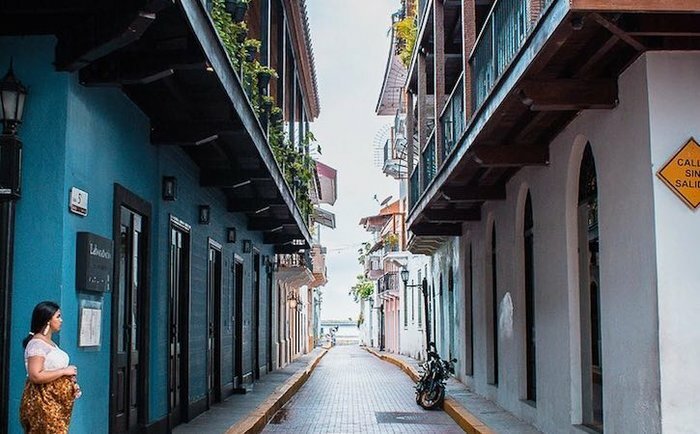 With touches of French and Spanish influence, Casco Viejo, the old quarter, embodies the elegant colonial charm of cities like Havana and Cartagena. Once abandoned for the glittering downtown, this area is now the hottest place for nightlife, restaurants, and shops. Visit the decaying ruins of Iglesia de Santo Domingo or the golden altar of Iglesia de San Jose. Hop between bars and nightclubs, or get tickets to a performance at Teatro Nacional, an ornate 1900’s concert hall. If you want to go even further back in Panama’s history, visit the UNESCO ruins of Panama Viejo, the site of the original Spanish settlement that was destroyed by pirates led by Captain Morgan in Y 1671. Dipping your feet in 2 different Oceans on the same day only happens in Panama. Start the morning out sipping coffee on the crisp, white-sand beach of Santa Clara, perched on the Pacific Ocean. Later in the day, drive an hour to watch the Sunset along the tropical Caribbean sand at the beaches near Portobello. 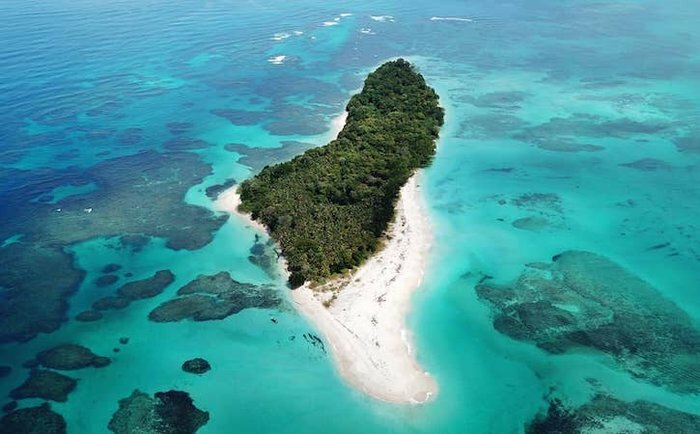 For the best beach experience, explore nearby islands like Taboga, the Bocas del Toro archipelago, or the paradise San Blas Islands. These stunning islands offer quiet retreats from the bustle of city life, along with an array of water activities. 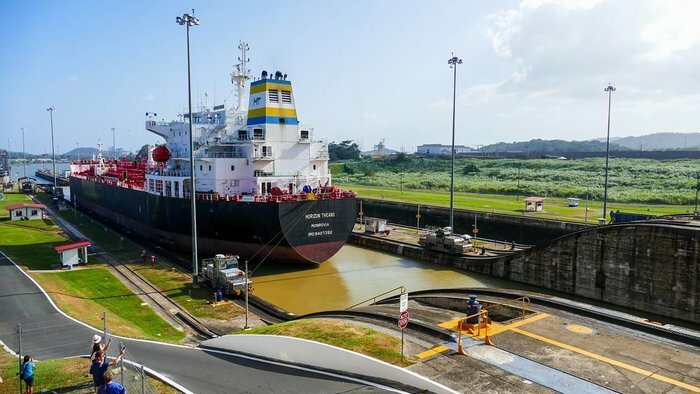 While Panama City offers much more than just the Panama Canal, you would be remiss if you did not add the Miraflora Locks, a 1-of-a-kind structure to your sightseeing list. The Canal operates in a series of 3 main locks – the closest of these to Panama City is Miraflores, which makes it one of the most popular. Pros are a fantastic visitor center and restaurant, and Cons are crowds. Afterwards, visit the Panama Canal Museum in Casco Viejo for a greater understanding of the history behind this feat of engineering. One of the few capital cities within a stone’s throw of a rain forest, Panama City has access to some incredible tropical vegetation. If you want to stay close to the city, Ancon Hill offers a quick hike to the summit and gorgeous views of the city. Also within the city, learn about Panama’s environment at the BioMuseo, which focuses on the natural history of Panama, including the nation’s biodiversity and the impact of humans. 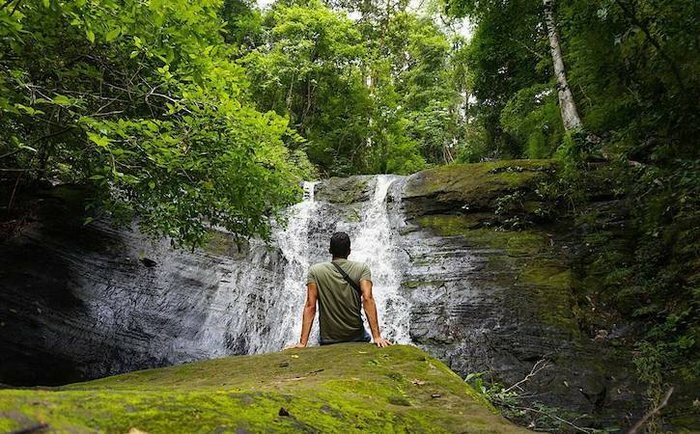 Experience the lush bio-diversity firsthand in Soberanía National Park, where you can spot sloths, monkeys, and an astonishing number of bird species just 16 km outside the city. Hikers should walk the Las Cruces Trail once used by the Spanish to transport their Gold. 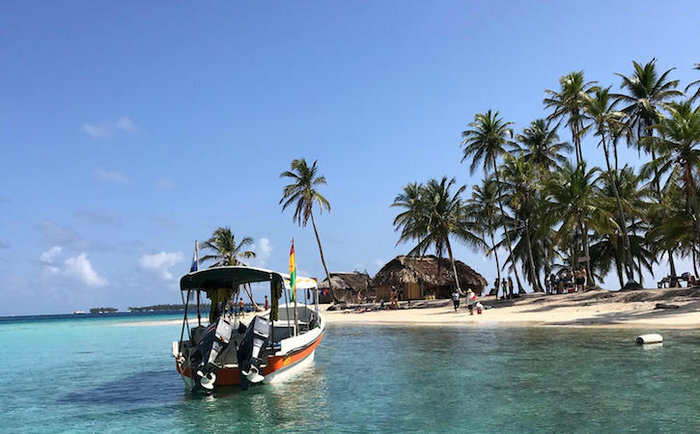 Seeing the San Blas Islands; there are many tourist companies that offer trips. If you stay overnight on one of the islands you will sleep in a small cabin with no electricity. The locals take care of you and your food and it is a terrific experience. Just you and a small island with crystal clear water. Like the city itself, Panama cuisine is a mix of influences. There is the traditional foods, like raspado, flavored ice, and Sancocho, a tasty stew. But for the most part, restaurants offer an eclectic mix of cuisines for visitors to dine. Start the day with brunch at Las Clementinas Cafe, before heading to explore the fish market for some top-notch seafood. Be sure to try the ceviche. When the day starts to cool off, explore rooftop restaurants and bars, like Casa Casco, which offers an incredible sunset view. Panama City offers a wider range of accommodations than it used to, from luxurious seaside hotels to artistic boutique stays. 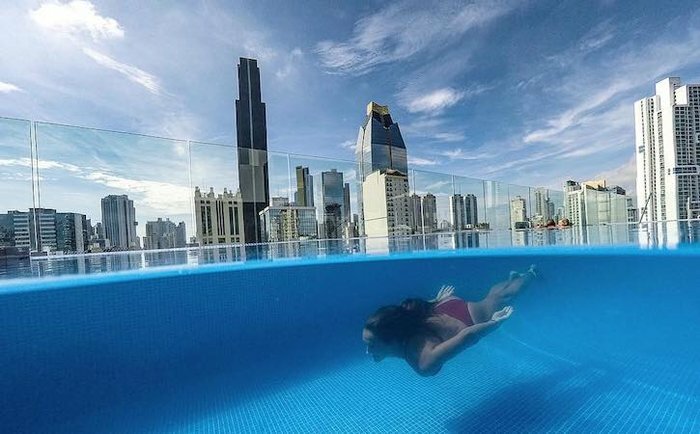 For luxury, try out the rooftop infinity pool at the AC Hotel, pictured above, which includes unbeatable city views. Meanwhile, Tantalo Hotel offers an artsy experience with themed rooms and a killer rooftop bar. For the backpacker, Magnolia Inn is housed in an old mansion in Casco Viejo, and offers easy access and beautiful rooms on the cheap. 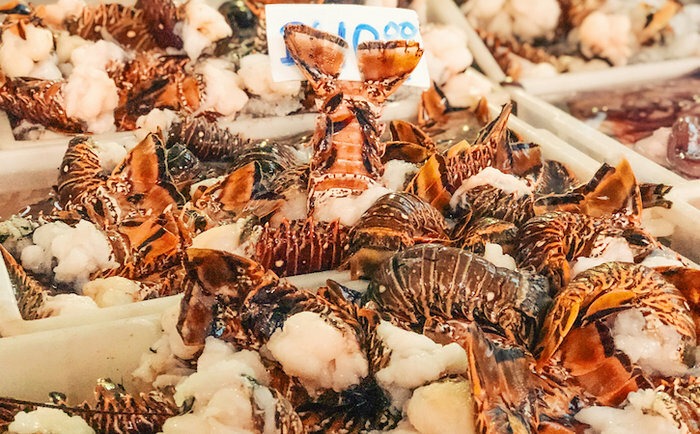 Many choose to shop in Casco Viejo because there are several markets with local products. Here one can find everything and help support the locals. Bring light clothes and closed toe shoes because it always rains once a day, and it’s very hot and humidity is high.